Millions have died as a result of your mischief when you steal people's money, you deprive them of their life. 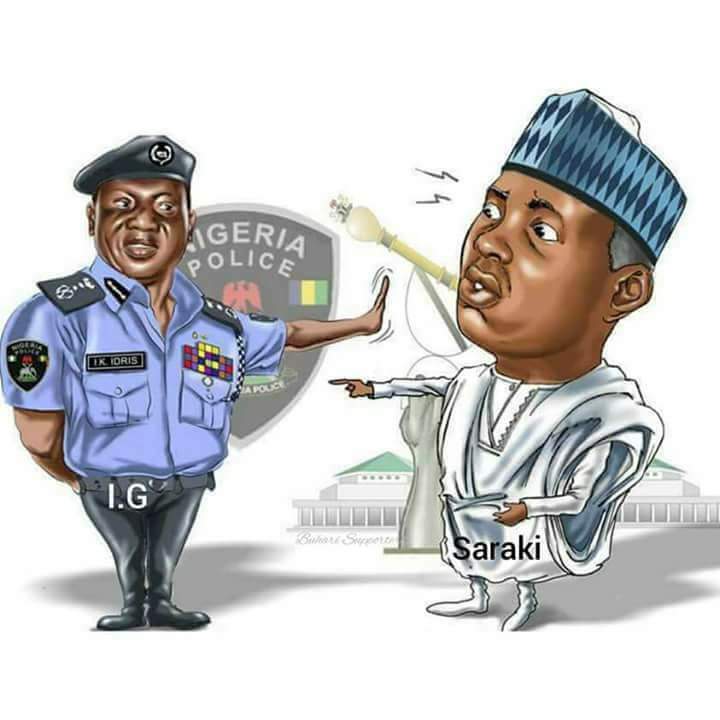 Saraki, know that life is short, you may not live for too long, if you continue to betray people. Remember your fathers course on you, you are moving in that direction. This is the peak of your political carrier what have you done for mankind? As No3 citizen today in Nigeria, you are fighting against the masses that voted for you, you make laws that favour only thieves, you look for your party's failures in orderto use it to climb further, you use gangster senators as your security, you suspend who ever opposes your views. Anti graft bill are not even read not to talk of debating on them. You move in the opposite direction against the President, your body language speaks a lot even in pictures, you are anti people. You have stampeded on the budget because you can't pad it. You make laws but you violate laws. Saraki, you are representing darkness. You think you are a tin god. Remember whatever you do either good or bad will always boomerang, your name today stinks among Nigerians and even at the level of your constituency. If you bribe to reelect yourself, you can't be Senate president again. You have missed the chance of writing your name in GOLD. Nothing last forever.